Next CVA meeting: Saturday 21 April 2018, Hotel Lapershoek in Hilversum, The Netherlands. 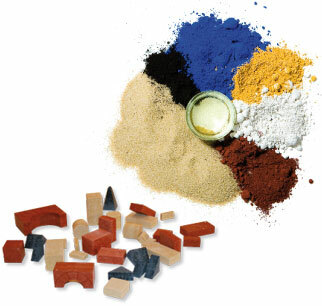 This website contains information on the various iron parts that can be used in combination with Ankerstein building blocks. These iron parts can for example be used to build bridges, roofs and fences. Anker Stones are made of a mixture of quartz sand, linseed oil, chalk and colour pigments. After pressing the stones are dried in ovens. More than thousand different stone shapes have been produced over the years. The history of Ankerstein dates back to 1880. 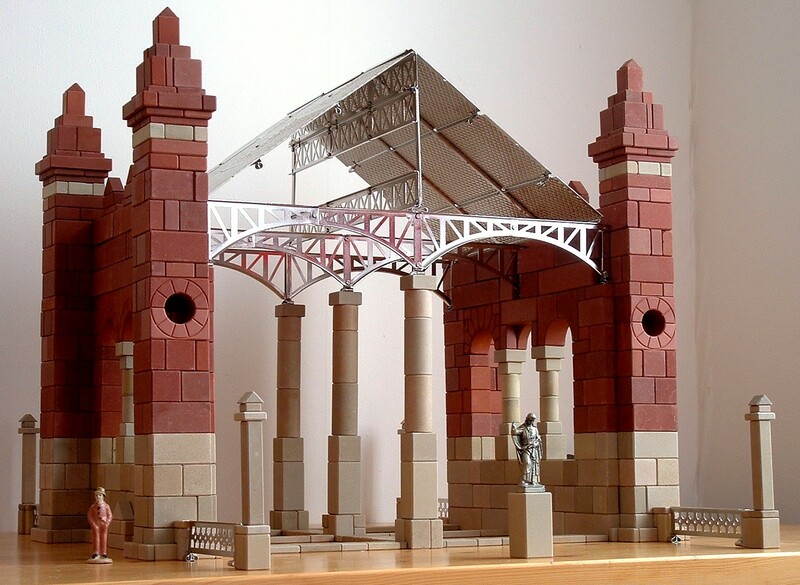 After a production stop in 1963, building sets are being produced again since 1995. Please visit the website of the Ankerstein factory for more information on currently available sets. The stones appeal to many people, among them are well known people like Albert Einstein and Bill Clinton . George Hardy maintains a wonderful website on everything about Ankerstein building blocks. Follow this link to his website which has a new "builders page" every month. Back issues of George's page can be found here . Also available on this website is a book with a huge amount of information on the history of Ankerstein building blocks. A group of enthusiastic Ankerstein builders and collectors have united themselves in the "Club Van Ankervrienden (CVA)". A link to their website can be found here. Another very interesting website on Ankerstein is maintained by Burkhard Schulz. You can find a large collection of photos, building examples, building plans and much more via this link The website is realised by Burkhard Schulz and George Hardy and is hosted by Flying Cat . A link to the Forum for Achor Friends is found here (members only). A direct link to the stone catalog (1999) is found here . Some of the images on this website are generated with the AnkerCAD program .